After a spirited roll call of delegations, presentation of the American flag, and reciting of the Pledge of Allegiance, the 2014 Conference On National Affairs officially commenced with a series of inspiring speeches from the Presiding Officers. Emily Vigliotta of New York, spoke about the significance of the conference. “We unite on this mountain as one nation.” After a brief history of the Blue Ridge Mountain Assembly, fellow Presiding Officer Zijie Yin of Alabama took the floor, encouraging students to forget about social media in order to make genuine connections with the wonderful people at the conference. Presiding Officer Amanda Johnson of Michigan then talked about how delegates’ differences should not be seen as labels for alienation, but as wonderful and unique qualities. “Our differences can unite us,” she said. 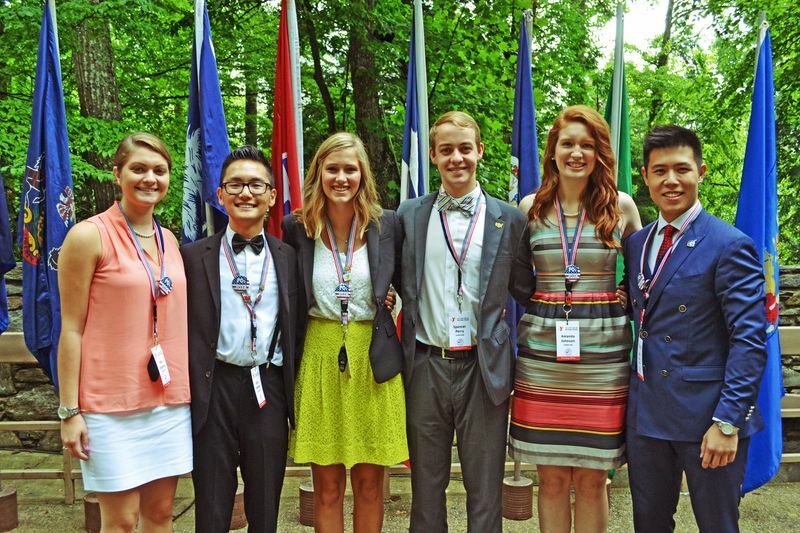 Libby Wuller of Oklahoma counselled that even if things at CONA don’t go the way delegates might want, everyone at the conference should embrace new opportunities and believe that they can still benefit from their experiences.